It really shouldn't be a shock to people when we tell them we love photo shoots...it's sort of in our genetics. 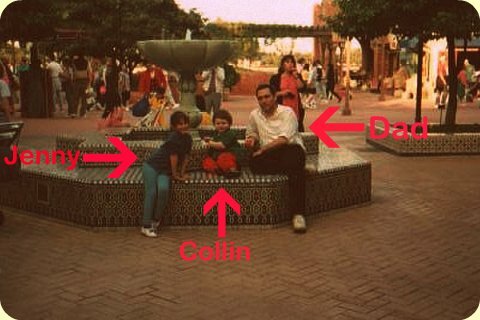 Let me explain: anytime we went on vacation, as kids, we wouldn't just take normal family pictures. We would all pose, as if we were in a movie; not the normal hands across each other's backs and smiling; these were full on "look like you are pondering something, with your fist on your chin!" photos. No wonder Jenny grew up thinking she was a model (to be honest, I thought I was an actress...still do?). 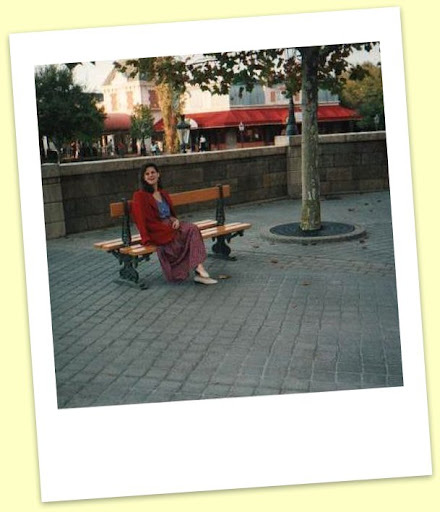 These family photos are from a 1994 trip to Disney World. 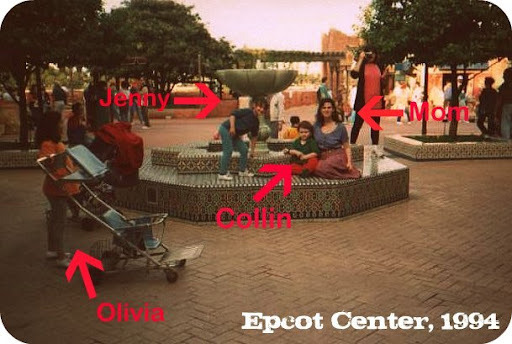 I was 9, Jenny was 7, and Collin, 3. 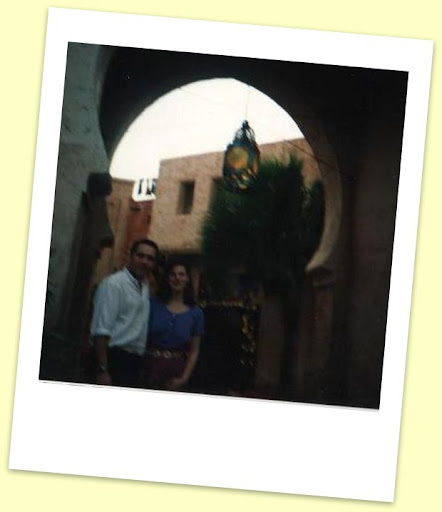 These photos are from our daily venture to Epcot Center; while here, we bought dolls in Germany, tried fried pickles, and most likely one of us had a meltdown (I'm going to be honest here: it most likely wasn't Jenny, it was most likely me, ha). Notice our leggings (Gap), and mom's awesome red blazer (Talbots). Also, mom was wearing a chain belt. In Disney. Original hipster.